To be fit is the choice of millions of people, and going to the gym is a norm for many. But what if you go on vacation for two weeks and don’t want to miss training? Or what if there are no gyms in your town? Does it mean that to be fit is a pipe dream? Not really. There’s a simple solution for those problems – personal training apps, which is exactly why they’re so popular. After all, you can take them anywhere and not miss any training. There are a lot of investments in personal trainer apps at the moment, and the market is continuously growing. According to research2guidance, the market for fitness apps will increase by 210 percent by 2020: from $10 billion to $31 billion. Today, we’ll consider one of the most popular apps that is named in nearly all the best fitness apps rankings – Official 7 Minute Workout by Johnson & Johnson. This app has more than 5 million downloads on the Google Play Market and more than 2 million downloads on the Apple App Store. This app has remained one of the most downloaded for the last two years. There are a lot of applications for 7-minute training, but only Johnson & Johnson’s was created by the inventor of this type of training – Chris Jordan, C.S.C.S. (Certified Strength and Conditioning Specialist) and the director of exercise physiology at Johnson & Johnson’s Human Performance Institute. How did 7 Minute Workout by Johnson & Johnson become so popular? A lot of fitness publications and coaches have talked about the benefits of short interval training. But until 2013, there was no scientific evidence of their effectiveness. In 2013, Chris Jordan published research in ACSM’s Health & Fitness Journal that proved the effectiveness of high-intensity circuit training using body weight. That report was the result of long research and the process of creating an app for Johnson & Johnson. According to the research, short, intense interval workouts make your heart rate, blood pressure, and metabolism increase and your body begin to burn calories. In May 2013, The New York Times published their own article on this topic based on Jordan’s research. A year later, The Times launched their own web application with the same name as Jordan’s. After that, everyone and their uncle started creating clones of the 7 Minute Workout. What is a 7-minute workout and how does the official app work? To train with a 7 Minute Workout application, you don’t need to have any professional equipment: only your body weight, a wall, and a chair. Users have access to 72 different exercises and 22 additional workouts that differ in complexity and duration so they can find a suitable program at any level of training. 1. Aerobic and resistance exercises. A combination of aerobic and resistance exercises allows you to build a balanced exercise program that affects your health and fitness in the most effective way. 2. High intensity. High intensity exercises allow you to create a workout program that takes less time. The more intense your exercise, the less time you need to do it to achieve the desired results. 3. Exercise order. Programs are organized in a specific order to spread the load across different muscle groups. 4. Minimal rest. The order of exercises сonsistently distributes the load to different muscle groups and allows you to shorten the time of rest between exercises, thus reducing overall training time. 5. Body weight only. Since the workouts require the least amount of equipment possible, they can be done almost anywhere. Nevertheless, many experts note that achieving the best result is only possible if you repeat the program two or three times in a row so your body will have time to properly increase metabolism and burn enough calories. Voice control makes fitness applications more convenient. Users can pause and resume trainings, switch between exercises, and control music playback. If all these actions can be performed using voice commands in an application, users won’t need to pause their exercises. To make voice control possible, you can integrate Siri or Google Now for iOS and Android respectively. You can find out how to integrate Siri into your application in one of our previous articles. Of course, you can use pictures and text descriptions of exercises in your application. But to make your app look really cool, it would be great to guide your users with video explanations. 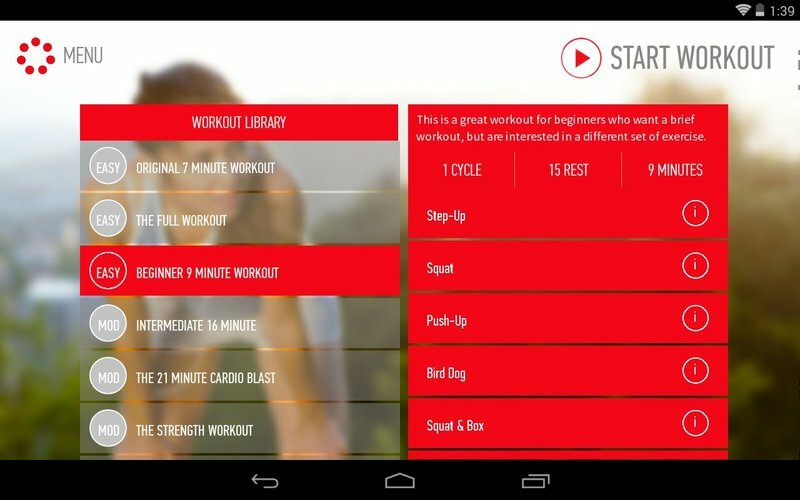 The 7 Minute Workout app skipped the shortcuts and implemented a video player. To implement a media player in an Android app, you can use the Android multimedia framework. With this framework, your app will be able to play video and audio files from raw resources and standalone files in the filesystem or over the network. For iOS versions 9 and earlier, you can use MPMoviePlayerController. For later versions, this controller is formally deprecated. In its place, you can use AVPictureInPictureController or the AVPlayerViewController class from AVKitFramework. Smart Workout is a feature of 7 Minute Workout that forms the most appropriate training for users according to their level of preparation and their preferences. At the end of a workout, the application lets users estimate the difficulty of the exercises and indicate which they prefer. Based on this feedback, the algorithm calculates the optimal balance of exercises and rest intervals for each particular user and plans more effective future workouts. There are about 1,000 different training combinations. Implementing such an algorithm allows you to bring your mobile application closer to the notion of a “personal trainer” as the app learns to replace a human trainer who adjusts workouts depending on abilities and preferences. You have two ways to teach your app to form workouts that fulfil the personal needs of every user. Of course, you can write an algorithm for building trainings by yourself. But if you aren’t a fan of the do-it-yourself approach, you can use marketplaces for algorithms, for example, Algorithmia. On algorithm platforms, algorithm creators offer their products to purchase or use for free in your app. The timer is one of the basic functions of the 7 Minute Workout app since the very idea of a 7-minute workout is all about scrupulously calculating exercise time and rest intervals. To implement a timer in an Android app, you can use the CountDownTimer class; for iOS, you can use NSTimer. 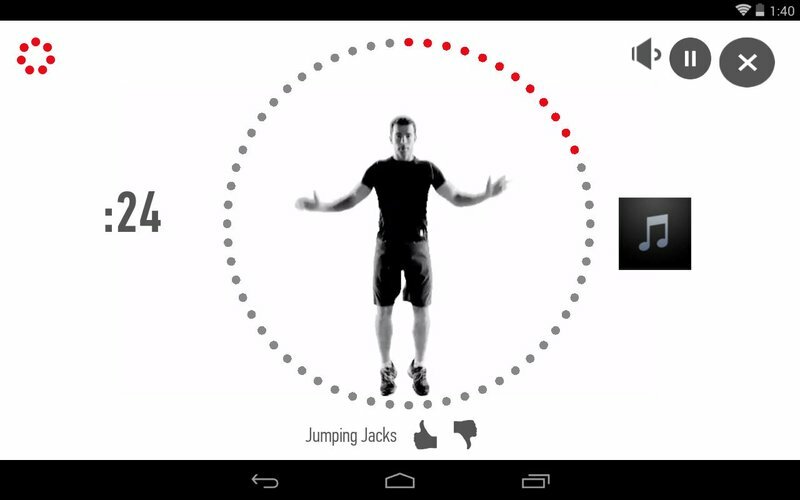 7 Minute Workout allows users to listen to music during trainings. This is a great feature for those who can barely imagine a sports routine without their favorite song on their headphones. The easiest way to implement a music player in an iOS app is to use the AVAudioPlayer class, which is a part of the AVFoundation Framework. For Android, you can refer to the Android multimedia framework that was mentioned before. 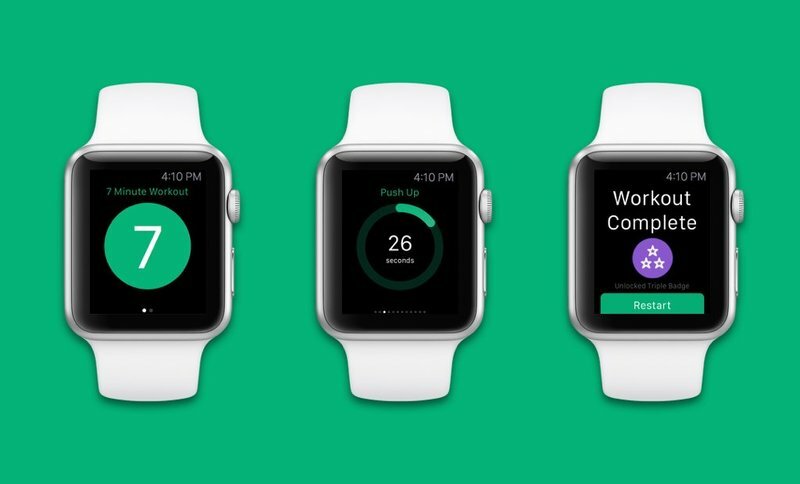 The 7 Minute Workout app has an edition for wearables that has almost the full functionality of the app for smartphones. According to Business Insider’s forecast, by 2021 the number of smartwatches sold per year will increase to 70 million units, which is 18 percent higher than in 2016. It’s likely a profitable move to create a wearable edition of your personal trainer app. Synchronizing an app with a wearable device makes it easier to track the efficiency of exercises and collect user data including heart rate, calories burned, and the number of reps.
What business model is the best choice for a personal trainer app? Though the the total value of the fitness app industry is growing, only several apps manage to have high earnings. According to research2guidance, most fitness apps have around $10,000 in revenue monthly and only five percent have earned more than $1 million. Some developers who create fitness apps blame the high cost of attracting users. However, the number of startups in this niche is constantly growing. So if you want to try your luck creating a personal trainer app, here are some examples of how to monetize your app. As with many mobile applications, creators of applications like 7 Minute Workout typically choose one of three basic models of monetization (or combine them). A paid app means that a user has to pay before installing your app. In practice, this model doesn’t work so well. The main reason it doesn’t work well is that there are too many free direct competitors floating around the stores. For example, one of the most popular 7-minute workout apps – 7 Minute Workout Challenge – was paid at the very beginning. At that time, it had 28 downloads per day on average. Then its creator, Stuart Hall, decided to make it free. The result was mind-blowing: the app was downloaded 216,00 times in only three days, which is about 72,000 times a day. There are still some apps including 7 Minute Workout Pro and 5 Minute Workout that use the paid model, however. So if you’re sure that you’ll be able to attract enough users to a paid app, then game on. Now, 7 Minute Workout Challenge by Stuart Hall uses in-app purchases to monetize the app. There are also some additional exercise packs that users can buy for $1.99 each. The same model is used by Seven, which lets users widen the variety of workout plans for $2.99 to $4.99. Apps like 7 Minute Home Workouts and 7 Minute Workout by Wahoo Fitness use freemium monetization models. A freemium model means that users have basic functionality and basic workout plans with the free version but have to upgrade to the pro version to get full functionality. Old-fashioned ads remain a popular way to make money from apps. 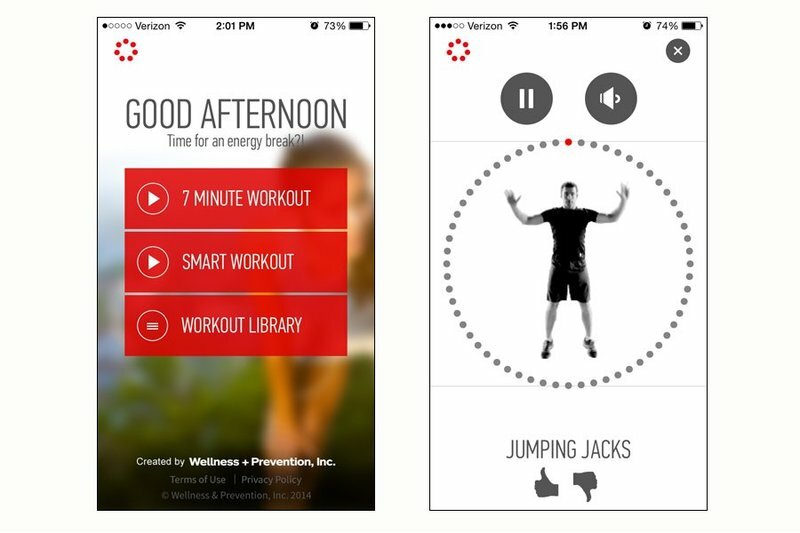 Apps like P4P 7 Minute Workout and Cardiio combine ads with elements of other monetization models. They offer their users in-app purchases including removing ads, additional exercise packs, and upgrades to pro versions. Creating personal fitness trainer apps is a rising trend. So if you are trying to catch the wave and enter the rising industry, the main things to focus on are choosing the right business strategy and creating an outstanding product.